Have you ever wondered how your brothers and sisters in the USA are experiencing their Ramadan? How is their experience similar/different from yours, and what could be the lessons learned for their fellow Muslims around the world? In this article, we will discuss how Ramadan is like for a Muslim in Central Virginia, USA. How Do Muslims in Your Area Prepare for Ramadan? Alhumdulillah, the Ramadan experience in the US is as variable as the community. After residing in different parts of the country over a number of years, some consistencies have become the norm. Muslims themselves are made to be responsible for making Ramadan relevant and important since the US does not have a predominant Muslim population. There will be no advertising and promotion on the radio or television to either remind or enhance the experience. However, in Central Virginia and many other areas of the country the local Imam will begin to devote a Friday khutbah to the subject and preparation of Ramadan usually the week before. If there is an Islamic school in the area, the staff will usually have it on the calendar and begin activities with the children. The start of Ramadan is anticipated but always a bit chaotic as there is no governmental agency or television announcement of its start. Muslims wait around their phones and computers for the sighting of the hilal to begin the month. Many Muslims who have migrated from different parts of the world and now reside in the US often hear from family members and pass information along. Nonetheless, most of the time a message is left on the answer machine of the local masjid/Islamic centre that people are asked to call after midnight. Some will use the internet to update with mass emails and even some smaller or technologically advanced communities will send out mass text messages. Some years, the evening news will announce that Ramadan has begun in whatever Muslim country is at war or in the news at the moment. Not surprisingly, the end of Ramadan in the united states follows the same ritual as the beginning as far as informing people when and where the Eid-ul Fitr prayer will be held. In every city that I have lived in the US, at least one masjid/Islamic centre is observing this Eid prayer on a different day. As many masjid/Islamic centre have become very ethnically divided over the past 20 years, some Eid prayers will be almost exclusively one nationality or if there is a ‘unified’ Eid prayer, the community will splinter into ethnic subgroups for Eid activities. This is especially disconcerting to new converts or those Muslims who do not have Muslim families as they are often alone. It seems that community support really means a lot over here. How does the community help those less well off during Ramadan? Brotherhood and congregation within the home is less specific. Many use the masjid/Islamic centre as their sole social source while others have gatherings in their homes for those within their own ethnic group or madhab. New converts are usually not invited to breakfast with Muslims at their house unless they are in the ‘known’ crowd, so their only iftar is usually within the masjid/Islamic centre. This is often true of those Muslims who do not have Muslim family members as well. What about taraweeh? What are your tips to attend regularly and make the most out of it? When Ramadan is in the summer and the fasting days are 15+ hours, Muslims are more able to have an iftar at their home and then go to the masjid for Taraweeh. When Ramadan is in the winter, and the days are so short, iftar and dinner seems to revolve around the masjid only. American Muslims will usually read the Qur’an during the month of Ramadan, usually taking in one-thirtieth each day. Interestingly, this is done in addition to going to the nightly taraweeh where the Quran is recited in Arabic. Many will read the translations each day so they can understand exactly what is being recited to them at night. Being a minority, how do Muslims in your area build and maintain the Ramadan and Eid spirit? While Muslims in countries with large Muslim populations may have Ramadan greetings on TV or in the mall, Muslims in the US usually make up and display these within their own homes. Some masjids will not have Ramadan greetings on their placard or even with the masjid itself. Some people find it necessary to change their schedule during Ramadan in USA. Those that do not have Muslim extended family members may delay family gatherings and socialization since their family may not respect and does not participate in the fast. Some people will change activities on the job while others will continue as usual but simply make up those fasting days. Still others quietly fast and never mention or discuss with family, neighbor or friend that they are observing the month of Ramadan. The first activity is more socialization between Muslims individually during Ramadan. Some mosques/Islamic centres will schedule nothing for the Muslims to do in jumaat during the month which leads to people interacting with each other personally in their homes. The second activity is an increase in dawah efforts. Ramadan is used as a tool to not only expose Ramadan to the general public, but also Islam as well. The activity here may be anything from inviting non-Muslims to join in a day of fasting and then iftar and dinner, to inviting Muslims themselves to volunteer during the day at a local shelter or food bank to feed the public. Thirdly, there is an increase in youth activities. Some centres offer nights just for the youth to retreat into the masjid. This program will begin after the taraweeh payers and usually involves speakers, the young brothers on one side of the masjid and the young sisters on the other side in ibadah and halaqa the whole night. These youth activities will also focus on building a healthy sense of their Muslim identity. What are the acts developed in Ramadan that you maintain throughout the year? Certainly in Central Virginia the norms within Ramadan often set the stage for the community for the year. In those areas where the people only interact within their homes, these people may later rent an apartment nearby so they can pray together or use the camaraderie that developed to serve and work together on a masjid/Islamic centre committee or initiative. The dawah activities of Ramadan often set the stage for opportunities through the year. As the Muslims may work with the food bank in Ramadan to distribute food, later they will work with the food bank as volunteers other times throughout the year loading and unloading trucks. The fasting and iftar that non-Muslims are invited to participate in may change into ‘interfaith’ dialogues throughout the year with the non-Muslims. The yearly I’tikaf for the youth can also lead to youth groups within the masjid, and in some cases, a camp later on in the year to almost ‘recreate’ the Ramadan bonding and ibadah experience. What are the main productivity challenges? As the US does not have a large Muslim population, there is of course no accommodation for the rigors of fasting. This is challenging to youth in school who may have a PE class and have to play sports. Also, working adults do not find a reduction in hours or an allowance for ‘nights only’ job performance. Some soldiers have been able to get a reduction in military PT from their commanding officers. When Ramadan is in the winter in US and the days are short, Muslims scramble to get home from work and to the masjid for nightly prayers. In some instances, Maghrib may come in before people are off of work. In the summertime, late Taraweeh prayers and early sunrise may impact worker productivity. However, in the summer months, many do find the reprieve of being able to take a short nap when they come home from work if their intention is to attend the masjid at night. It may not be recuperative sleep, but rest is always a benefit. Those workers who work in the sun outside or in food industries have challenges that their own self restraint manages. The biggest challenges of Ramadan in USA is to maintain the warmth, brotherhood and spirituality of the month. Many American Muslims complain that the feelings of brotherhood that comes from large groups breaking fast together and praying together is lost and sorely missed upon its end. Although in Central Virginia, the dawah and youth activities are maximized effectively throughout the year, the brotherhood needs considerable more work. The crux of the issue is that Muslims are moved by the ‘feelings’ that come from the crowds and Qur’anic recitation, but the actual ‘actions’ are what is important. Far too many Muslims are caught up the ‘ritual’ of Ramadan and will pray 20 rak’a of taraweeh and not even greet those brothers or sisters in ibadah on either side of them when they finish and just walk off, talk to friends, snack and leave. But Alhumdulillah, others will seek to develop lasting relationships during the month by attending the taraweeh frequently, noting those who come on the same nights and begin friendships. 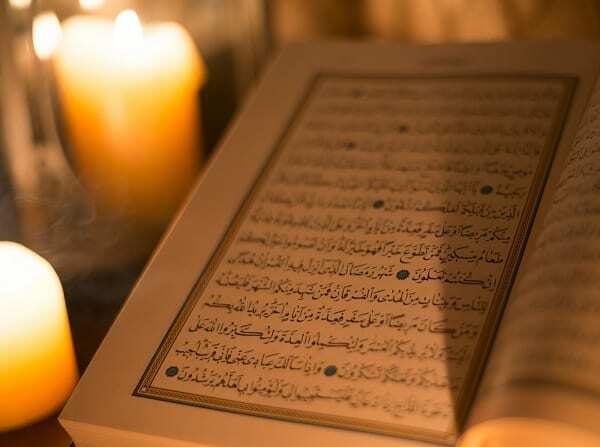 The actual reading of the Qur’an instead of just listening to the recitation prompts some to take Qur’an or Arabic classes through the year or attend t’aleem to further their understanding. At this stage, the country just acknowledges that Ramadan exists even though there are no special accommodations or allowances to support the activities of worship in this month. Ramadan is becoming the largest and most effective source representing what Islam is to the general public. That is truly a blessing. Mahasin Shamsid-Deen is a world-renowned author, poet and published playwright with plays performed, staged, and or read in the United States, Europe and the Middle East. The play “One God” was translated into Arabic, Spanish and Malay. She resides in Central Virginia,USA.